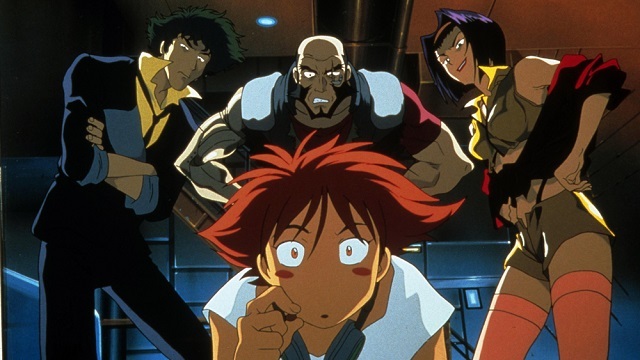 Netflix's live action remake of the popular Japanese anime Cowboy Bebop will feature a "diverse" cast fighting against anti-refugee bigots on behalf of the Rothschilds with guns that "shoot black holes," a new report suggests. 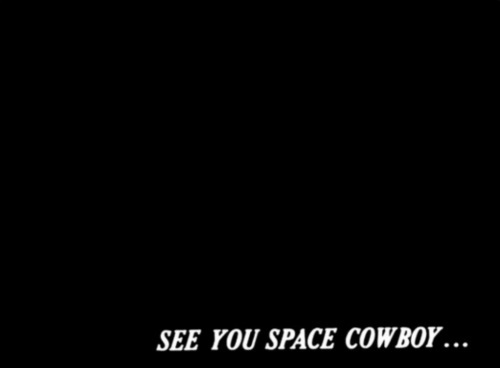 We begin on what is almost a beat-for-beat recreation of the Cowboy Bebop movie cold open, but with a twist. Instead of a grocery store, this scene takes place on a casino— a SPACE casino. This is the equivalent of the space casino scenes in the ‘Honky Tonk Women’ episode of the anime. Regardless, the scene is almost identical to the movie’s opening, down to the ICONIC line that Spike utters at the end… chills. They also introduce some political subtext here about refugees, though I don’t believe they went far enough with it to be meaningful. 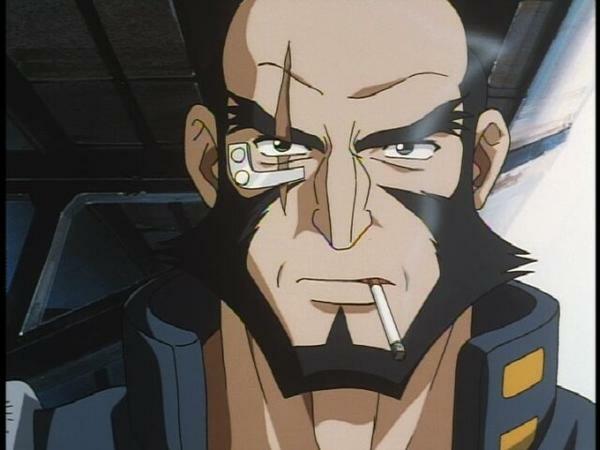 Anyway, this scene familiarizes us with one of the bounties that Spike and Jet are after—Tanaka. Tanaka is a “wannabe preacher with a gun” that hates refugees and used to work in a casino. Well, I should say he WAS all that… before Spike and Jet demolished him and his operation. This scene also showcases some cool new gadgets that weren’t shown in the anime, including a gun that shoots black holes. Yup, black holes. [...] The rest of the pilot plays similarly to the first episode of the anime, ‘Asteroid Blues,’ but extended for a 60-minute runtime. It centers on Spike, Jet, and Faye. Some of the additions I felt worked, and some I felt need improvement. The basic gist of the plot is that Asimov Solensan and his pregnant wife Katerina are on the run and have a sizable bounty on their head. Naturally, Spike and Jet are drawn to the prize and chaos ensues. The main differences between this pilot and the anime episode are that Yost has tried to weave in and introduce both Vicious and Faye Valentine into the narrative to mixed results. Faye is brought in through a character named Ellis Rothschild, who is Katerina’s father and one of the richest men in the universe. He wants his daughter back and tasks Faye to do the deed for him, for a handsome reward. [...] She’s introduced as a femme fatale, taking in a bounty by seducing him. Then she meets Rothschild. Wokeness activists fighting on behalf of the Rothschilds with black hole guns -- what is there not to like? 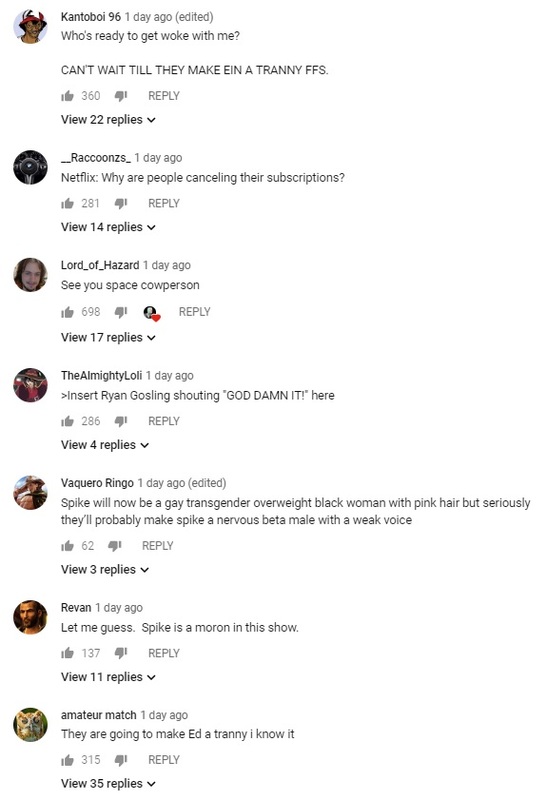 Social justice cultists are incapable of making anything people want to watch on their own. Instead, they must hijack great works others have created and ruin it with their propaganda.